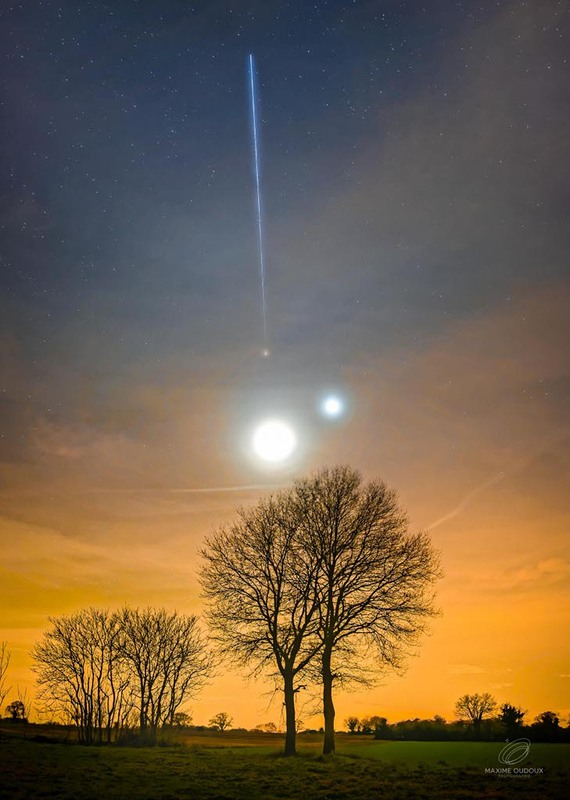 Explanation: On January 31, a waxing crescent Moon, brilliant Venus, and fainter Mars gathered in the fading twilight, hanging above the western horizon just after sunset on planet Earth. In this combined evening skyscape, the lovely celestial triangle is seen through clouds and haze. 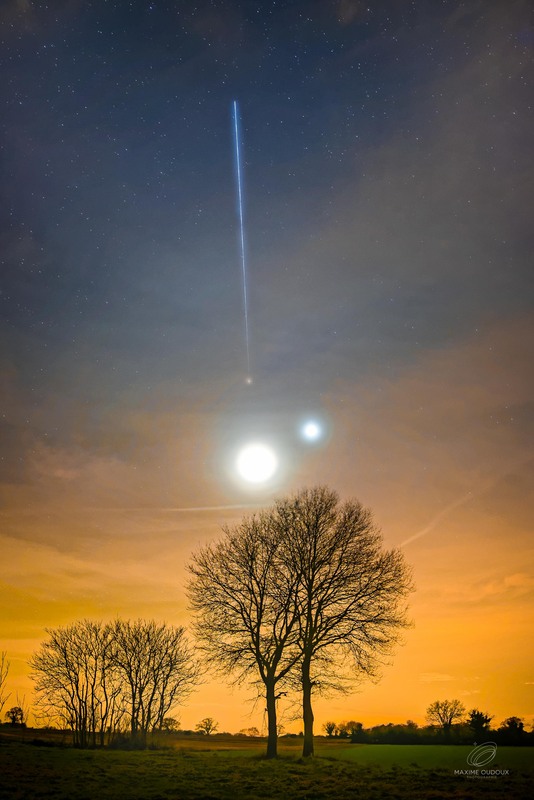 Still glinting in sunlight, from low Earth orbit the International Space Station briefly joined the trio that evening in skies near Le Lude, France. The photographer's line-of-sight to the space station was remarkably close to Mars as the initial exposure began. As a result, the station's bright streak seems to leap from the Red Planet, moving toward darker skies at the top of the frame.